Both Breckenridge and Granby take advantage of the altitude at their ski resorts, even in the summer. 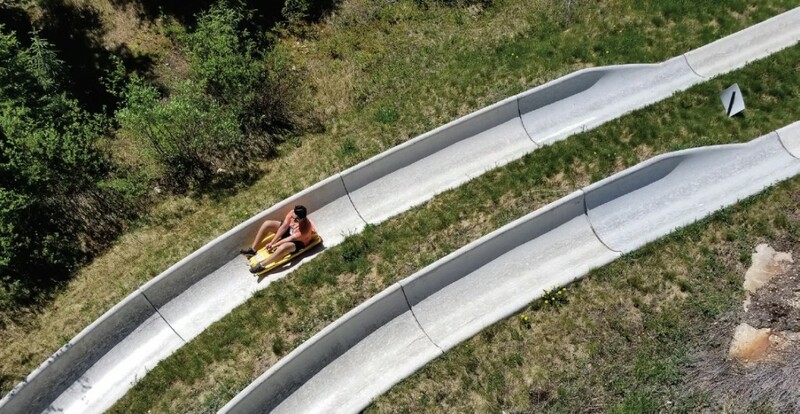 Visitors to Winter Park Resort and Breckenridge Ski Resort will find new ways to glide down the mountain and enjoy the ultimate in summer fun at two unique summer fun parks. At Winter Park, take the scenic chairlift up and descend down on Colorado’s longest alpine slide. Riders sit on a fiberglass sled and control the smooth brakes on the way down the twisty, fun, waterslide-like chute. It’s a great way to enjoy the mountain when there’s no snow on it! The extensive park also offers family slope side putt-putt, a kids climbing wall, a disc golf course, hiking around the resort, a human maze, the leaps and bounds bungee, and a summer scenic chairlift ride for those who want to relax and take it all in. 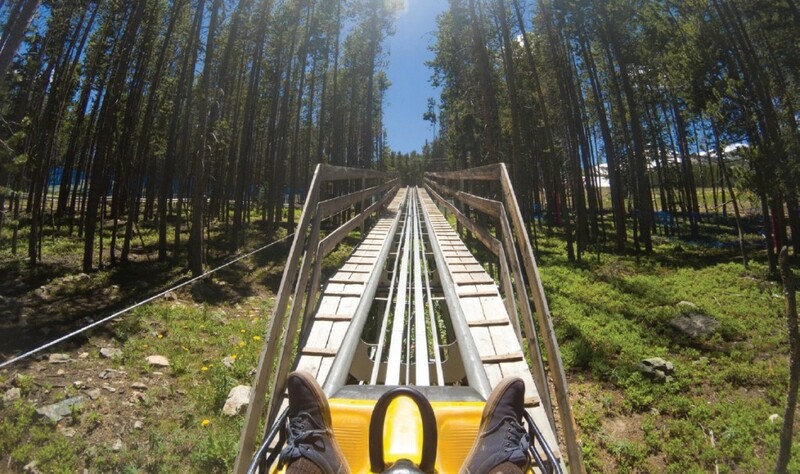 The Epic Discovery fun park experience in Breckenridge begins when you board the gondola at the base of the mountain. Take a fun ride up to the Peak 8 base camp, where you’ll see a summer wonderland of activities laid out in front of you: ziplines, a climbing wall, human maze, a climbing wall, bounce house, alpine slide, tubing, a ropes course, and the exhilarating GoldRunner Alpine Coaster. This thrilling course takes riders down 2,500 feet of elevated roller coaster track in single or double capacity carts. Manage your own speed through the hairpin curves and twists through the forest on this ultra-smooth, high speed adventure.